I like to enjoy a nice glass of wine on Sunday afternoon. The perfect finish to a productive day! I also like to eat tapas or appetizers to accompany the wine. Last Sunday, I came up with this amazing Easy Crab Bites recipe. SO GOOD! Fresh, creamy, crunchy and simply yummy. You have to try this recipe, trust me. 1- In a small bowl, soften the cream cheese. 2- Add the rest of the ingredients, and mix well. 3- Fill each Tostitos scoops with about 1 teaspoon of the crab mixture. Garnish with red onions and chives. This is perfect as an appetizer with a nice glass of white wine. 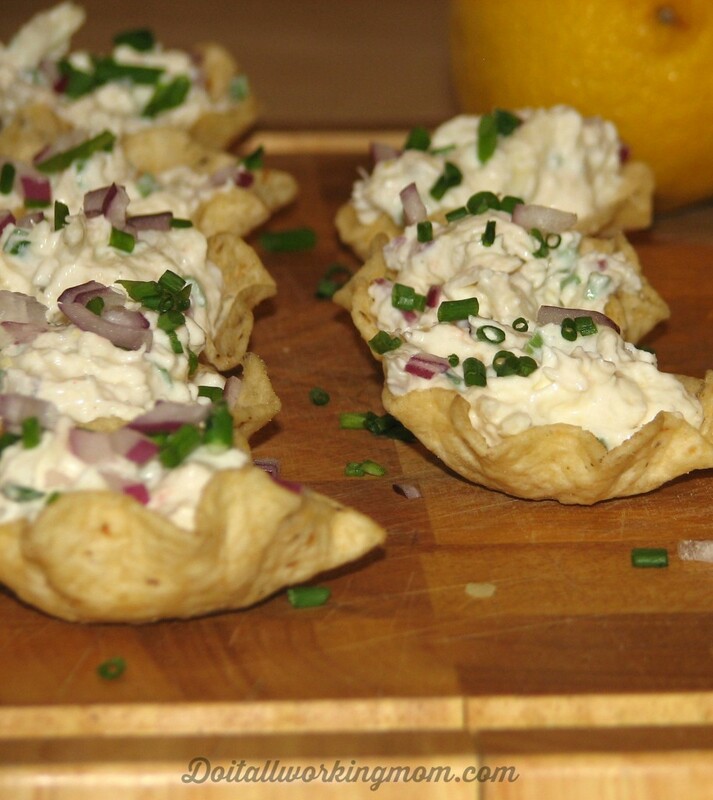 You can prepare the crab mixture before, and fill the Tostitos scoops when you’re ready to serve them. You don’t have to use Tostitos; you can use cucumbers, cherry tomatoes, endives, small pieces of salad, crackers. The possibilities are endless, just use your imaginations! In a small bowl, soften the cream cheese. 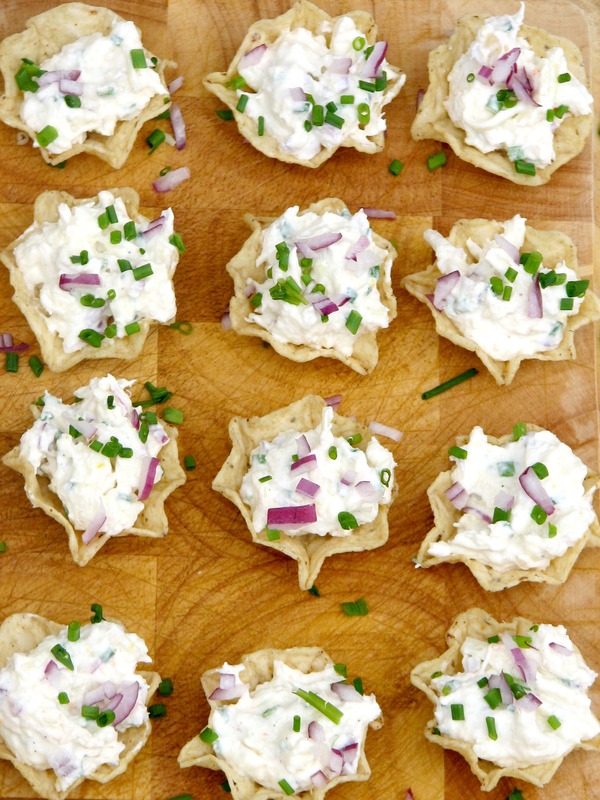 Fill each Tostitos scoops with about 1 teaspoon of the crab mixture. Garnish with red onions and chives. Hi there! Visiting from the Get Your Shine On link party. This looks so delicious and perfect for entertaining! Thanks so much for sharing the recipe! Thanks Cindy. I’m really happy you enjoy this recipe. It’s a great idea to let everyone spread the crab on themselves.